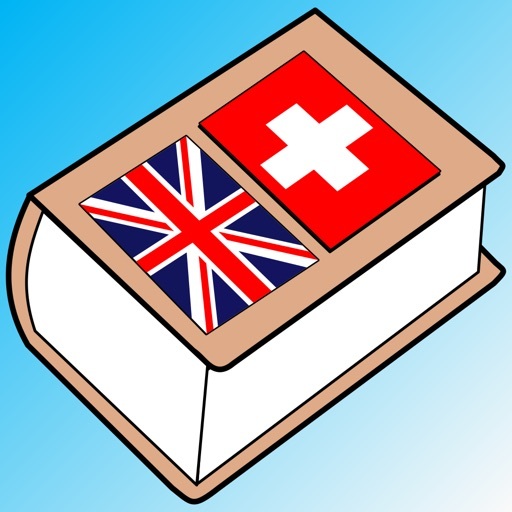 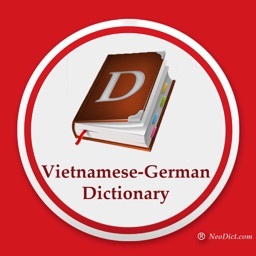 Swiss German Dictionary is the first comprehensive dictionary for English to Swiss German and vice versa. 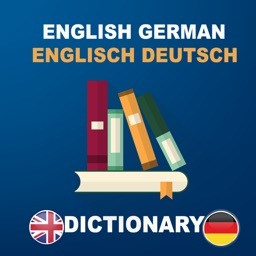 It contains 5´400 entries with audio and 4´000 explanations, examples and phrases. 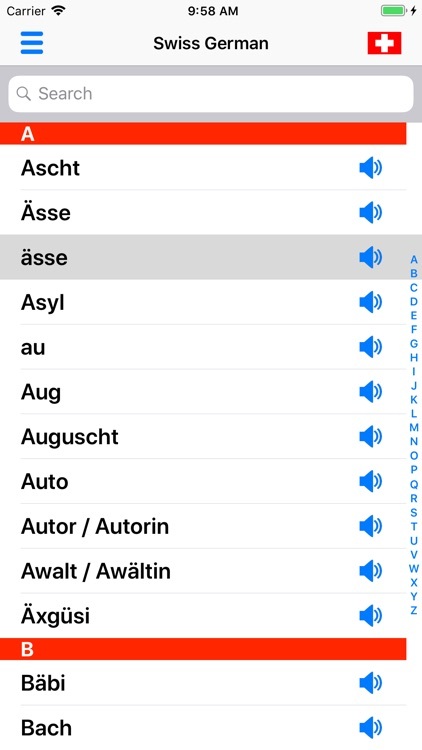 Swiss German Dictionary made it to the shortlist of Best Of Swiss Apps 2016 in the category young & wild! 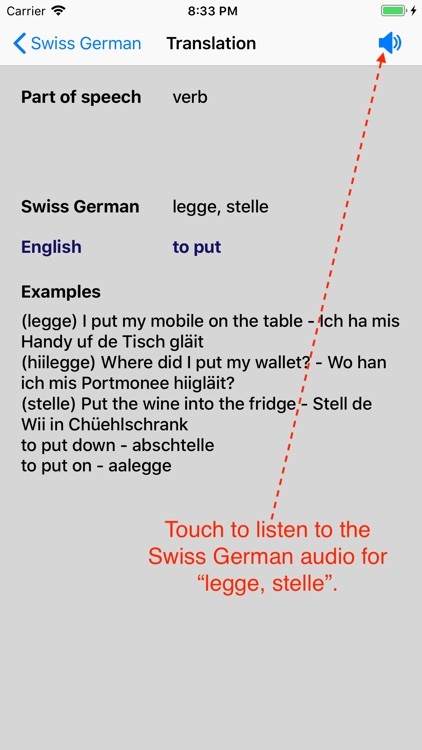 The Swiss German dialect differs in pronunciation, vocabulary and partially also in grammar from the High German standard. Therefore Swiss German Dictionary contains the most important vocabulary and numerous expressions which are only used in Switzerland. 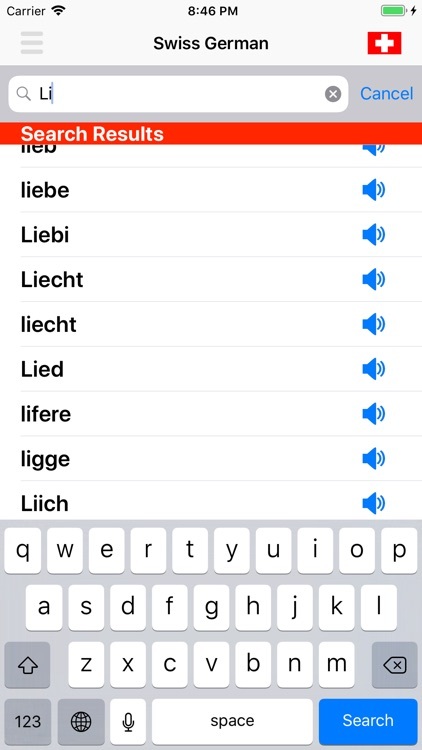 For all words you can hear how they are pronounced in Switzerland by a native speaker. 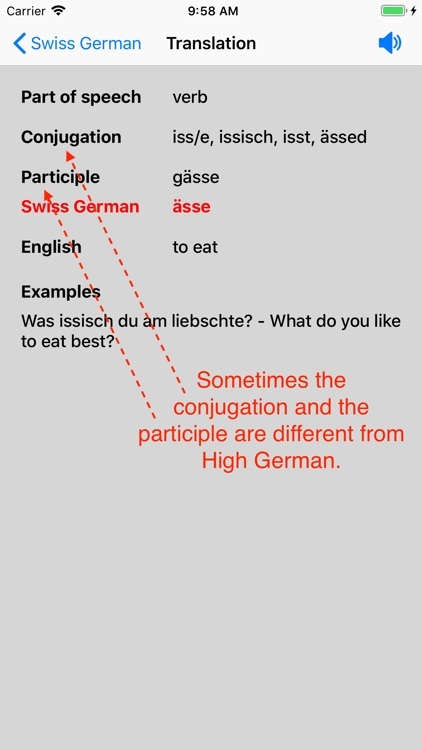 With Swiss German Dictionary you can learn to conjugate the verbs in Swiss German and how to correctly form the plural of the nouns. 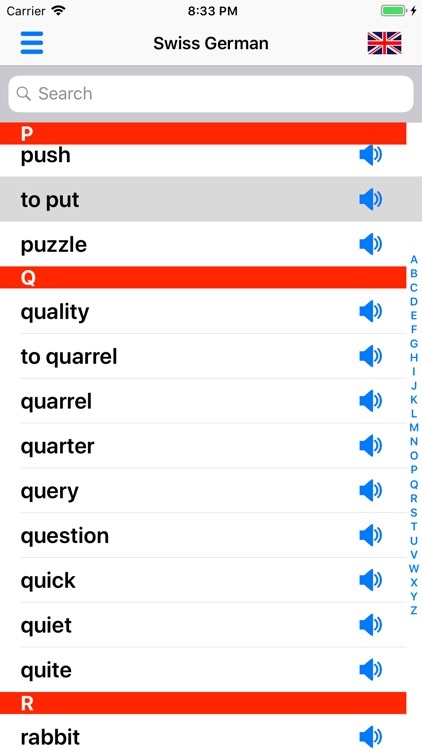 Who can benefit most from Swiss German Dictionary? 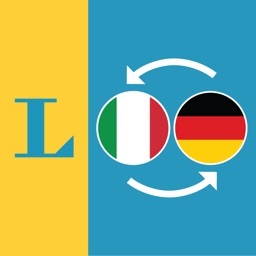 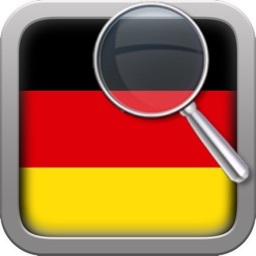 This app is ideal for all who want to move to the German speaking part of Switzerland and for all who want to better understand the dialect spoken in the greater Zurich area.